Here we have two portable typewriters from my collection called Message, and one called a Messenger. The Messages are the Beaucourt (Japy) Message, a French machine of Swiss design, and a recent purchase, the Japanese Nakajima Message 320. The Messenger is the British-made Imperial Messenger T.
- Sir Alan Patrick Herbert (1890-1971), English novelist, playwright and poet. Beaucourt Revisited is actually a rather harrowing war poem, in which Herbert recalls the losses his battalion suffered during an attack on German lines at Beaucourt in November 1916. 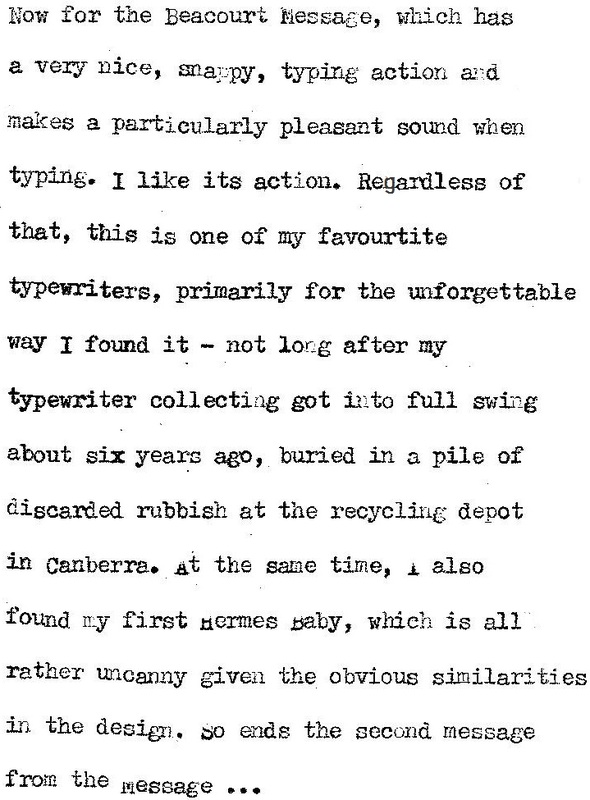 Still, this particular line reminds me of the memorable time, five years ago, when I lingered at what was, at least momentarily, a magic place: the recycling depot of a Canberra rubbish dump. 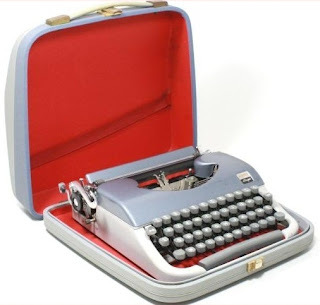 To my utter astonishment, I found buried beneath the rubble a tiny Beaucourt Message portable typewriter in its unusual case, typewriter and case in almost perfect condition. The Beaucourt sat beside a Hermes Baby, in like state. 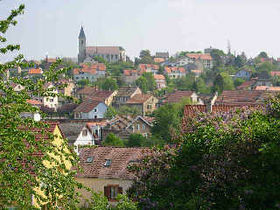 Beaucourt is a commune in the Territoire de Belfort in north-eastern France, close to the Swiss border. It was once the home of the Japy brand of typewriters. The Japy company was founded in 1771 by George Frédéric Japy, a pioneer in the industrial production of watches. Frédéric Japy was born in Beaucourt on May 22, 1749, the son of blacksmith Jacques Frédéric Japy (1699-1781) and his wife Mary Margaret Fainot Japy. In 1760 Jacques was appointed mayor of Beaucourt by the Prince of Württemberg, Lord of Montbéliard. Frédéric Japy (above) was educated in Beaucourt and Montbéliard and from 1768 learned watchmaking in Le Locle, now a part of Switzerland. In the massive expansion of his business, Japy set the trend for the 20th century Olivetti typewriter makers, Camillo and Adriano, in establishing housing, dining areas and other social amenities for his workers. Like the Olivettis and another typewriter maker who started out as a watchmaker, Halda’s Henning Hammarlund, Japy came to be seen as a father figure for his workforce. 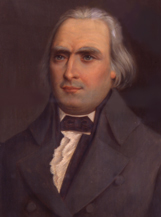 He introduced machine tooling before the end of the 18th century. Japy died at his mill in Badevel in January 23, 1812. The main street of Beaucourt now bears his name and a museum, which includes Japy typewriters,is dedicated to him. 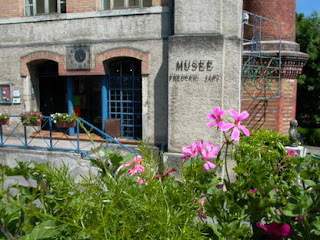 Musée Municipal Japy, is at 16 Rue Frédéric Japy. Before he died, Japy had handed over the running of his company to his sons, and it became known as Japy Frères (Brothers)(mill pictured above). 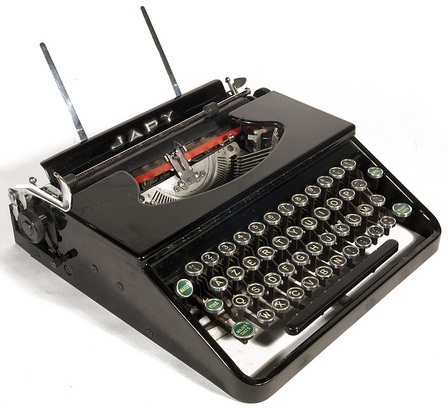 In 1910, as part of a broad diversification, Japy Frères started making typewriters. 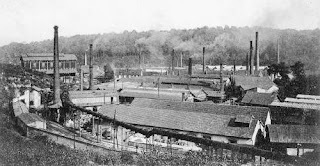 It bought the entire assets of the Rem-Sholes Typewriter Co, which had gone bankrupt in 1909, and with Rem-Sholes tooling and dies reproduced the American company’s visible standard machine as the Japy 3X. The parts were made in Beaucourt and assembled at Arcueil, outside Paris. In 1931 the first Japy portable, the Japy V, was produced. This was not a success and Japy quickly acquired a license to manufacture beautiful Patria typewriters, from the Swiss Perles company, as the Japy model P6, which was produced from 1937 to 1948. It was mechanically a Patria but with a unique and utterly gorgeous Japy casing (see Georg Sommeregger’s site at http://www.typewriters.ch/collection/japy_p6_portable.html). Over the ensuing years, an intriguing “Euro” family of like typewriters grew, coming from Britain, France, Spain, Italy and Germany. Models included those made by the British Oliver Typewriter Company, as well as the Swissa Piccola and variations of the Voss, Byron and AMC. After World War II, Japy also began making typewriters under licence from another Swiss company, Hermès Paillard, and in 1971 Hermès took over Japy, moving production of such Hermes-designed Beaucourt models as the Message and the Gazelle (another variation of the Message from the late Tilman Elster's collection and Will Davis site, above) to Switzerland. 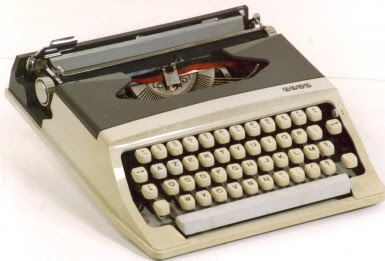 In turn, Hermes was taken over by Olivetti. In 1954 the typewriter branch of Japy Frères become the Société de Mécanographie Japy. From 1949 to 1959 Japy made a second Patria design, one which came from Max Bill(1908–1994), the famous Swiss architect, artist, painter, typeface designer, industrial designer and graphic designer. This was called the P68 or Japy Personnel. Slightly altered, it became the Japy Script. 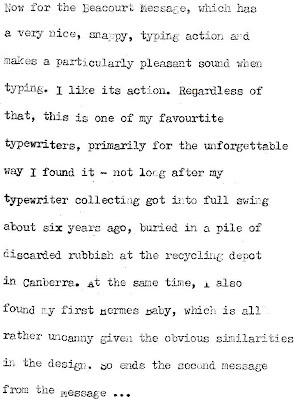 *I am much indebted to typewriter collectors Georg Sommeregger in Switzerland, Will Davis and the late Tilman Elster for much information about the history of the Japy typewriter. 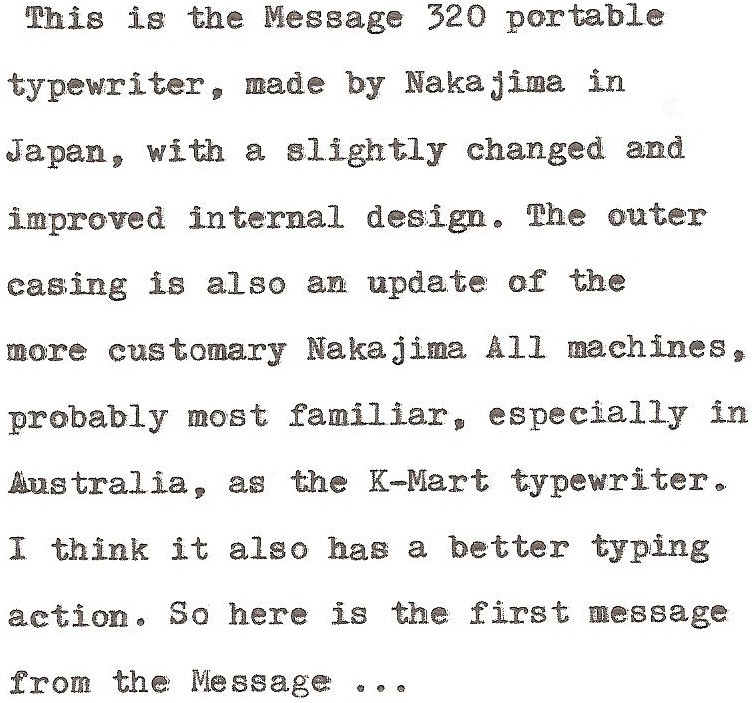 The second Message portable featured here comes from Nakajima in Japan. While there are no markings on it apart from the model name (inside the case it says "Made in Japan"), it is unmistakeably a Nakajima product. Yet it differs in its mechanical design from the more customary and common Nakajima typewriters and is a smaller but superior typing machine. 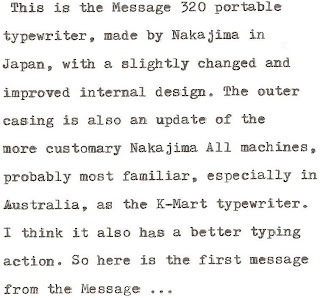 Nakajima All started making portable typewriters in April 1965. In August 1968 it transferred its typewriter factory to Oaza-Kamigomyo, Sakaki-machi, Hanishina-gun, Nagano Prefecture. 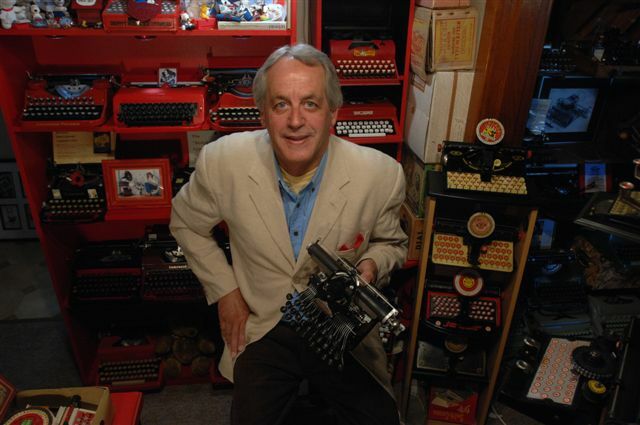 Monthly production of typewriters exceeded 15,000 units. In January 1976 it was renamed Nakajima All Precision. In April 1977 a typewriter assembly line enabled monthly production of 50,000 units, and this lifted to 70,000 units in November 1979. In March 1982 Nakajima started producing electronic typewriters. The company was established by Nobuyoshi Nakajima in April 1923, to make printing and later sewing machines at Azabu, Minato-ku, Tokyo. In 1931 it was renamed All Lead Mishin Seisakusho and two years later Nakajima All Mishin Seizosho. In August 1941, Nakajima was taken over by the Japanese Navy to become a munitions factory. In April 1945 it was moved to Sakaki-machi, Hanishinagun, Nagano Prefecture. The Nakajima Aircraft Company, founded in 1918 by Chikuhei Nakajima (1884-1949), was a separate enterprise. After the war this was reborn as Fuji Heavy Industries, maker of Subaru automobiles. Finally, the Imperial Messenger T, the last Imperial made by the great British typewriter company based in Leicester in the East Midlands of England. Since both Imperial and Royal were taken over by Litton Industries and production moved to Japan, where the brands became indistinguishable from one another, this is a significant machine. It a sense it can be likened to the Royal Safari, the last Royal made in the US, but is slightly smaller and lightly. 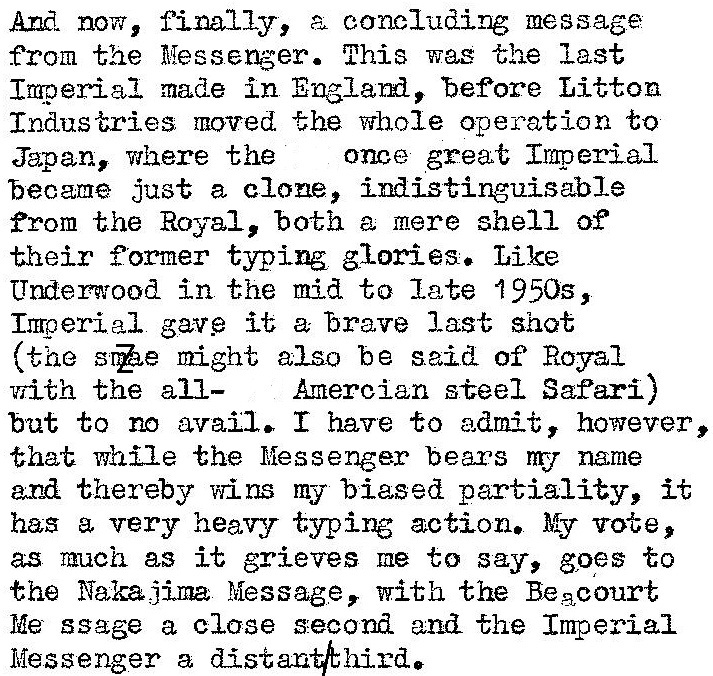 Unlike the Safari, however, the Messenger, for its size, is not a good typer: the little Nakajima Message does a better job. 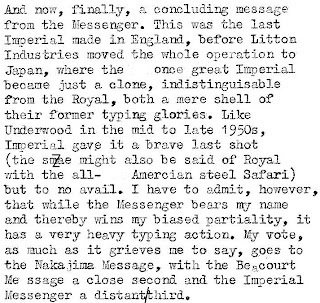 As a typing machine, the Beaucourt Message sits somewhere in between them. The Imperial Messenger also only came out in the one, bland grey colour. I've never heard of any of these, as usual, your posts expand my knowledge! Thanks Ted. Yes, I couldn't ever let go of it. Hey Rob, that's a great idea. I have a couple more of these Messengers in storage, so I'll check them out to see if they are any better to type with. I certainly love the idea of it in red. I'm struck by the way the "wings" open on the Beaucourt Message. Unique!